When the news broke Friday that Hillary Clinton will announce her 2016 presidential bid Sunday, Twitter filled with the sexist name-calling that has greeted Clinton throughout her time in the public eye. She’s ugly, fat, a lesbian, a combination thereof. This time, though, they're also calling Hillary old. At first glance, this is infuriating — until you realize that this may be the last time anyone thinks it’s an effective slur to call attention to a female politician’s age. First let’s talk about the infuriating part. Picture it, intelligent, ambitious friends: You make partner at a law firm. You agree to give up your law gig when your husband gets a big job, then that same husband cheats on you. You stay with him anyway and while you’re at it become a U.S. Senator. A few years later, a younger dude from Illinois gets another job you really want. Instead of crying about it, you go to work for him, and you are so good at it. You fly around the world, leading meetings at 3 a.m. and making decisions that impact the course of history. In the meantime, you break the Internet with your badassery and on-point sunglasses game. And you get ready to go for that job you didn’t get one more time. Until recently, we were a culture that uniformly portrayed older women as asexual, which meant they were invisible. Emphasize Clinton’s age, make her disappear. Except that right now, this specific vein of criticism has never been more, well, tired. So when you do go for that job no one can say you aren’t driven or smart or accomplished or loyal or resilient. They can’t even mock your hair or your pantsuits anymore because even they realize that’s so 2000. They can’t dispute that you are the most powerful woman in the world. Instead, they focus on your wrinkles. It’s enough to make the rest of us wonder whether our hard work is really going to pay off, or we’re going to be ridiculed and devalued the first time a colleague spots some crows feet. If that’s what’s ahead, wouldn’t we all be better off staying in bed with our Netflix? Ageism, when it targets female public figures, is absolutely gendered. 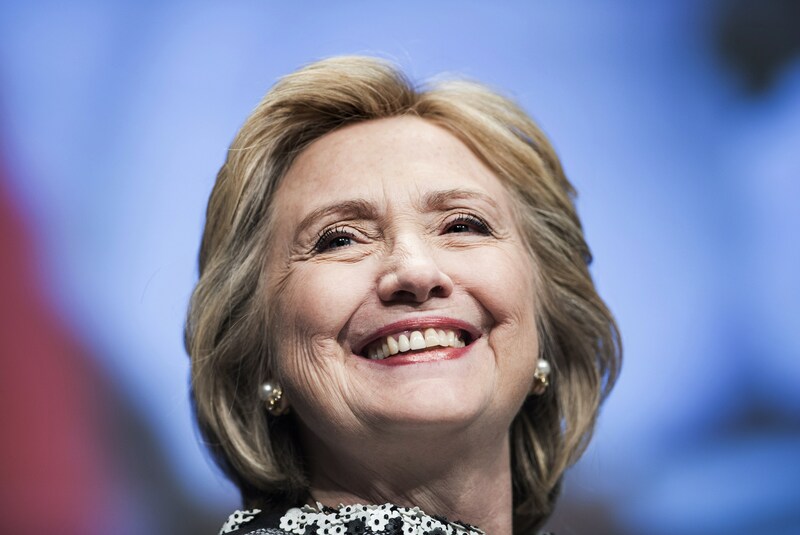 Refreshingly, many of the folks posting photos of Clinton’s face and calling her a hag aren’t even pretending that their criticism is grounded in honest concern about Clinton’s ability to do the job at the age of 69, the age she would be when taking office. The tweets contain images, or their language is visual. This is entirely about the former Secretary of State’s looks, which means it is entirely about tying her worth back to her sexuality, rather than her work. And until recently, we were a culture that uniformly portrayed older women as asexual, which meant they were invisible. Emphasize Clinton’s age, make her disappear. Except that right now, this specific vein of criticism has never been more, well, tired. Because at this particular moment, we’ve never been more insistent that older women remain not only visible but venerable. By now everyone is familiar with the Notorious R.B.G., a Tumblr started by NYU law student Shana Knizhink to celebrate the general amazingness of 82-year-old Supreme Court Justice Ruth Bader Ginsburg, who has spent her career fighting for the fair treatment of women under the law. The Tumblr has given rise to T-shirts and an “unobjective biography” by Knizhink and MSNBC reporter Irin Carmon due later this year. An octogenarian has become an idol. Meanwhile, Hollywood, which is rightly blamed for 20-year-olds wanting botox, has also gradually begun to make older women more visible and not to portray them as fragile or senile but shrewd, accomplished, and — shocker — desirable. Diane Lockhart on The Good Wife and Claire Underwood on House of Cards are both well over forty. Both are portrayed as not only fierce but also sexual. And while Maggie Smith’s Dowager Countess is not a sexualized character (Season 5's reignited flirtation with a Russian Prince was never really headed in that direction), she is the ultimate GWBNS (Grandmother Who Brooks No Sh*t). Meryl Streep, Judi Dench, and Helen Mirren have become the subject of online worship as they continue to get meaty roles.Way back in 2012, Hillary Clinton got the same treatment. When Stacy Lambe and Adam Smith, two young dudes working in D.C., started the Tumblr "Texts from Hillary," it went viral almost instantly. Like Notorious R.B.G. after it, it celebrated its subject’s decisiveness, experience, and most importantly, her power. All of which has made this an actually okay time to run for president as an older woman, which makes it a more okay-feeling time to be a woman in general. There’s your reason to get out of bed.